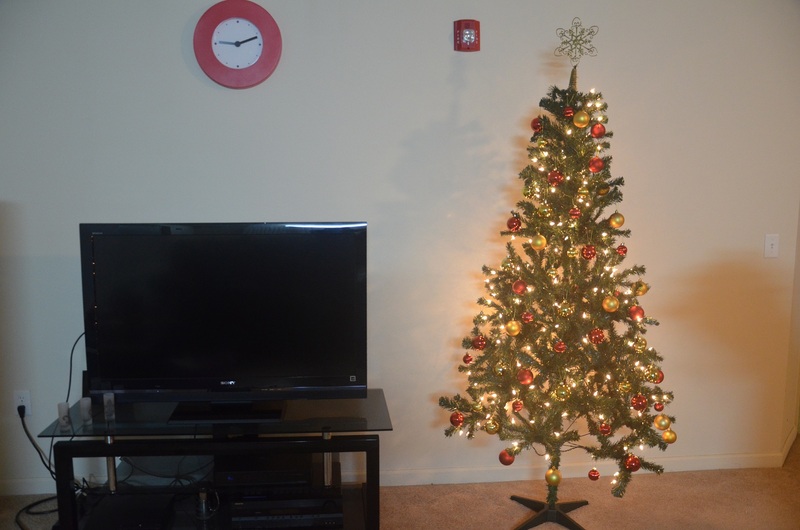 I wanted to wish all readers a Merry Christmas and Happy Holidays. 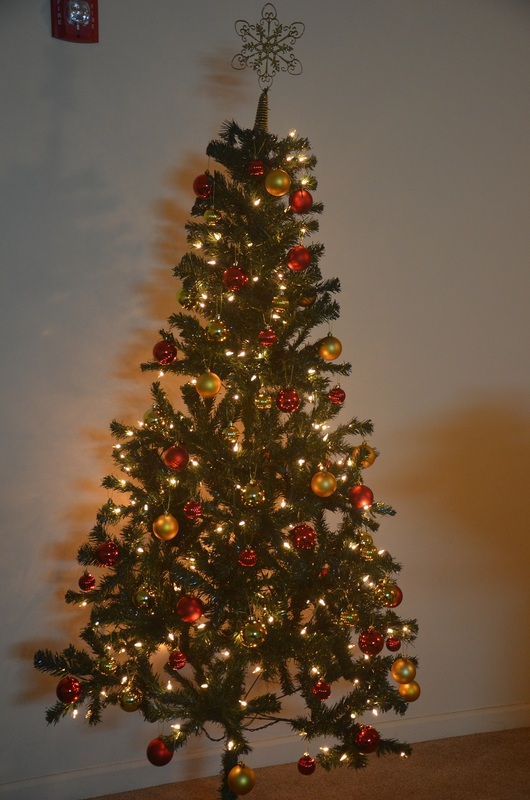 I hope you all are done with gift wrappings and ready to make presents to your dear ones and celebrate this year’s Christmas as good as any Christmas. I started writing blogs under the name “Learn SQL WIth Bru”, the first blog was published on August 10 2009. Today, Learn SQL With Bru completes 1st year and would like to take this as an opportunity to thank all the visitors and readers to the site. When I began the blog, I was not aware how many blogs I would be writing or for that matter what SQL Server topics I would be writing on. Today when I review the blog’s content, I am reasonably happy that I wrote 62 blogs in the past year, most of which are technical blogs related to SQL Server. There are several areas in SQL Server that we tried to focus on such as Database Administration, Database Development, SSIS, Performance Tuning, SQL Server Tips etc. There are multiple sections added to the website making it more than a blog site. I started section such as SQL Server Tidbits in which, each day a new point has been published (now discontinued since July 1st 2010) and there is an Interview Q and A section, SQL Server Forum to post and seek answers to technical questions related to SQL Server and the recent addition of Learn SQL Server Section which tries to teach SQL Server for a beginner / intermediate level reader. I would once again thank all the readers of this site for coming back and reading. Finally I hope not to disappoint anyone in the year to come by writing more technical blogs that would enable readers to apply it at their work or enhanve their understanding of SQL Server. 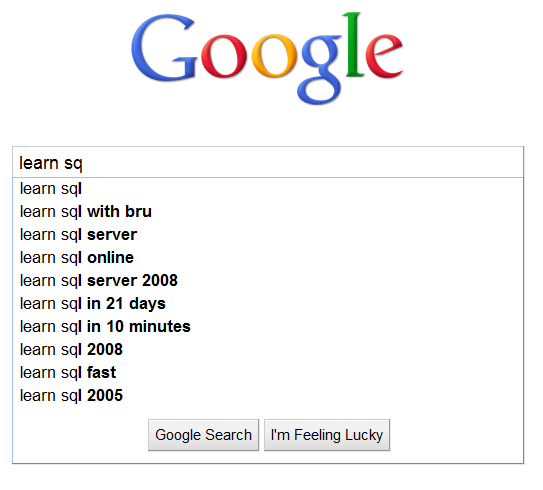 Yesterday (August 4th 2010) I was searching for something on Google and I happened to type learn sql with bru (that’s one of the most frequently typed URL by me). It was amazing to see Google search returning Learn SQL With Bru without typing the entire search string and to my surprise, Learn SQL With Bru was listed at the top. (Image below). I am aware that Google lists my website in its searches, (website stats, gives the # of hits to learnsqlwithbru.com originating from Google and other referring sources) I wanted to share this happiness with all the regular users and thanks them all for their support and feedback.